After much contemplation I have decided it is simply impossible to narrow down my other highlights from Tasmania to a 'fourth'. Do I write about the couple of nights I spent with customers who became friends and recently moved to Tassie having designed and built the home of their dreams? 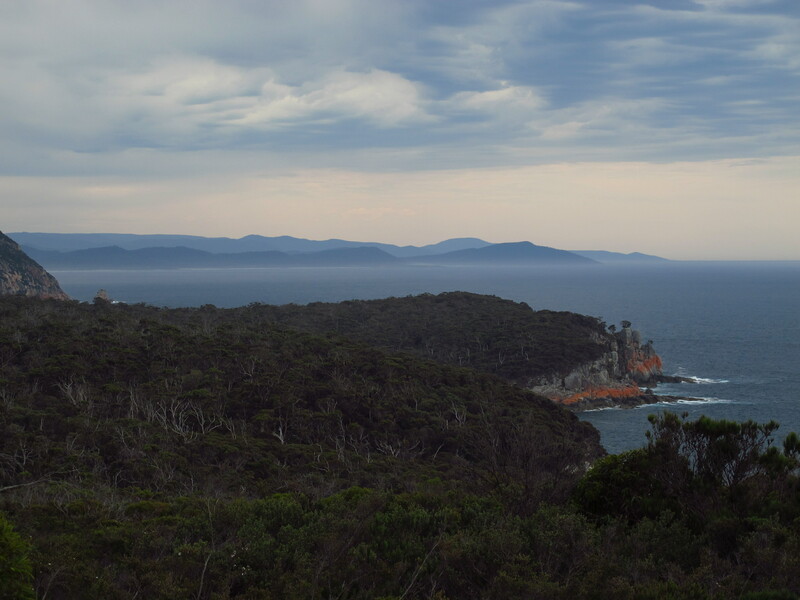 This is the view from their balcony (that's Maria Island in the background). It is such a privilege and inspiration to share someone else's dream. Or do I write about the extraordinary beauty of Freycinet National Park, and the angel (from the Blue Mountains) who I gave a lift to and who returned the favour tenfold when I started the walk to the Wineglass Bay Lookout only to have a panic attack and flashbacks to when I got lost on a mountain in Canada 17 years ago?! (long sentence... long story) I can't actually recall thinking much about it in the last 16 years, but then again, I haven't done much bush walking in the ensuing 16 years either. My recall was certainly very powerful on the day, and it just so happened that said angel who I gave a lift to just happened to be a bushwalking guide and just happened to have had panic attacks herself in the past, and just happened to know exactly what to do! I made it to the lookout (which was spectacular) and put those demons behind me. 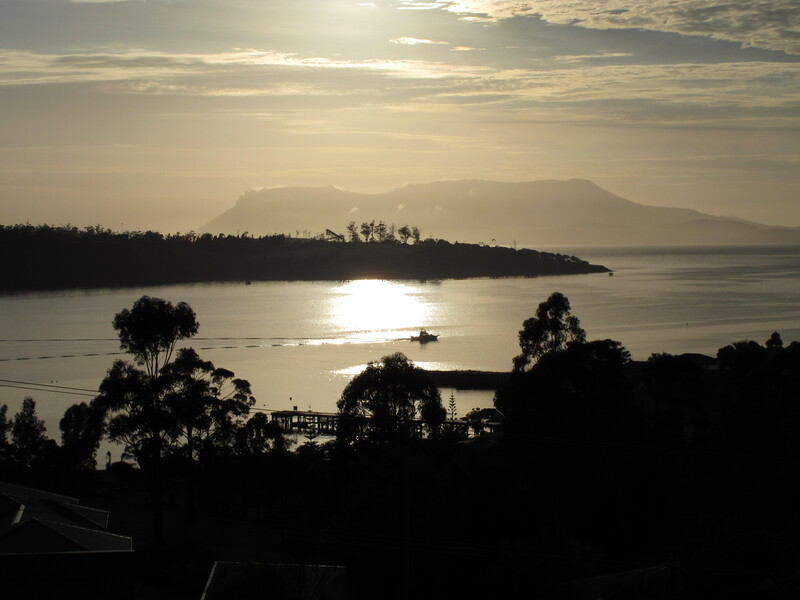 The photograph below is from the lighthouse walk in Freycinet National Park. 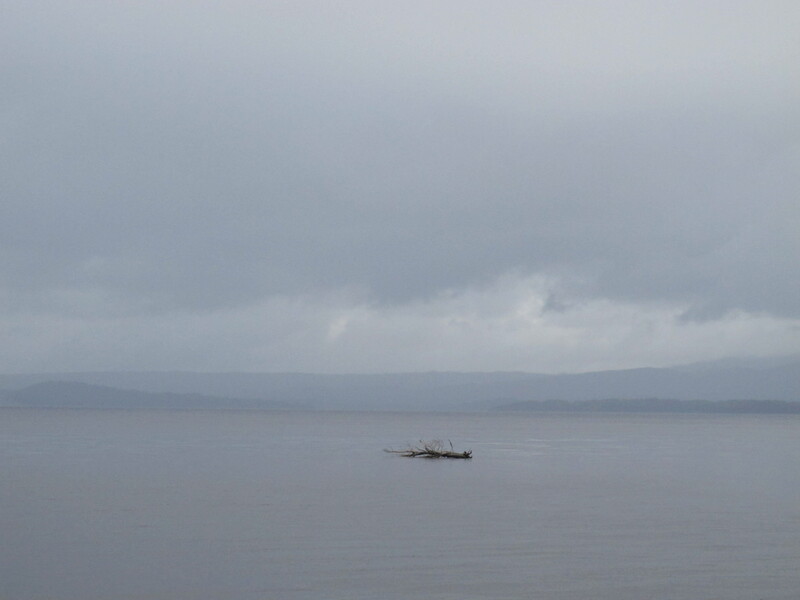 Another highlight for me was simply the sheer beauty of the Tassie countryside. 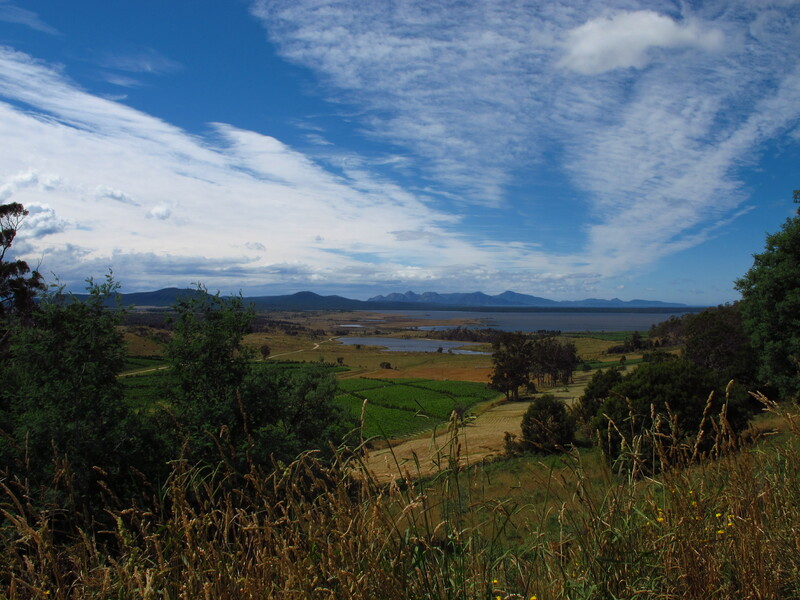 Here a vineyard with Freycinet National Park in the background. I can never get enough of the Australian countryside and I'm a complete sucker for a roll of hay, a field of poppies (yes, they grow poppies for opium in Tassie! ), cattle, rolling hills and vast blue skies. I kind of ruled out making Bridestowe Lavender Farm my fourth highlight because again it was all about bees, and I wouldn't want you thinking that I need to get a life or anything like that. 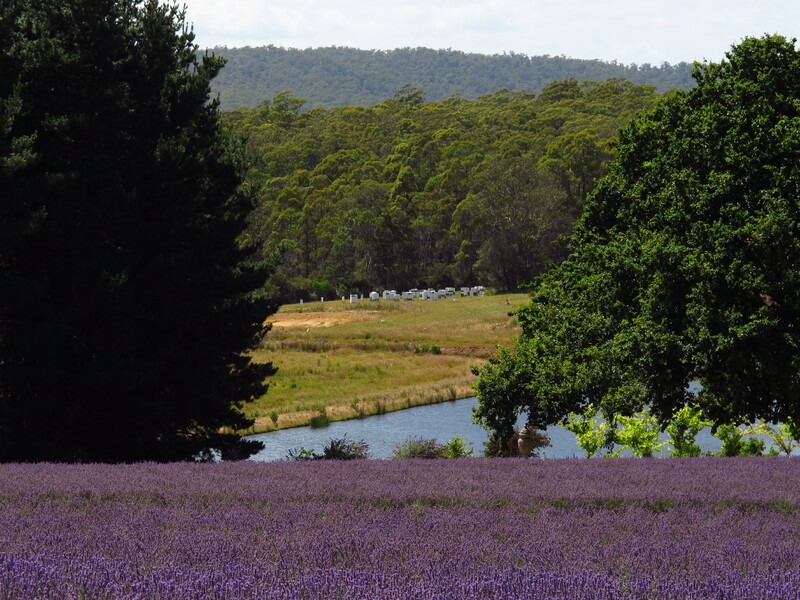 Below is a photograph looking across the lavender fields to their apiary. 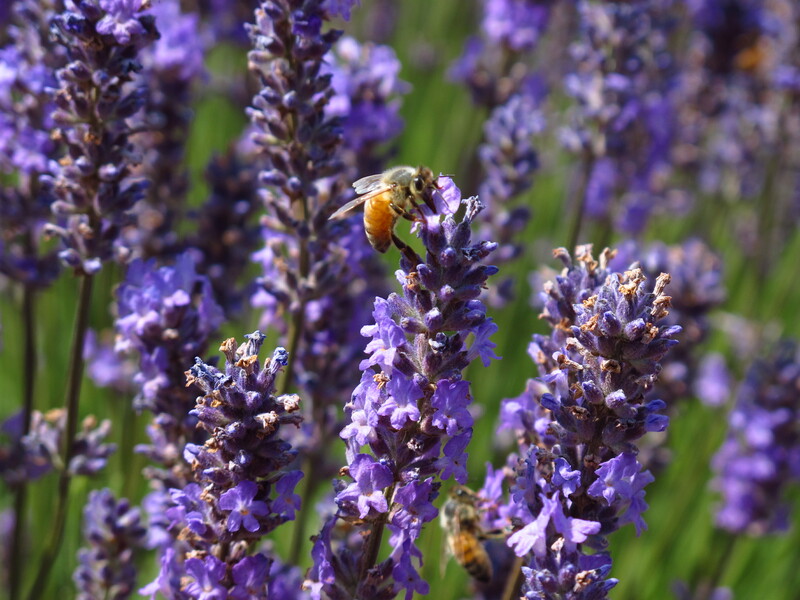 Not only do the bees pollinate the lavender, but they also sell Bridestowe Lavender Farm honey from their hives. 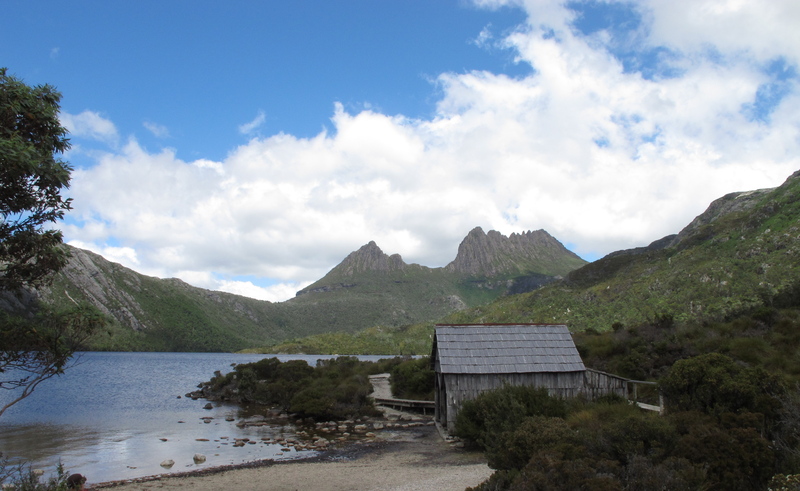 After my stint beekeeping, I went to Cradle Mountain for a couple of days and did the Dove Lake walk on one of those days. 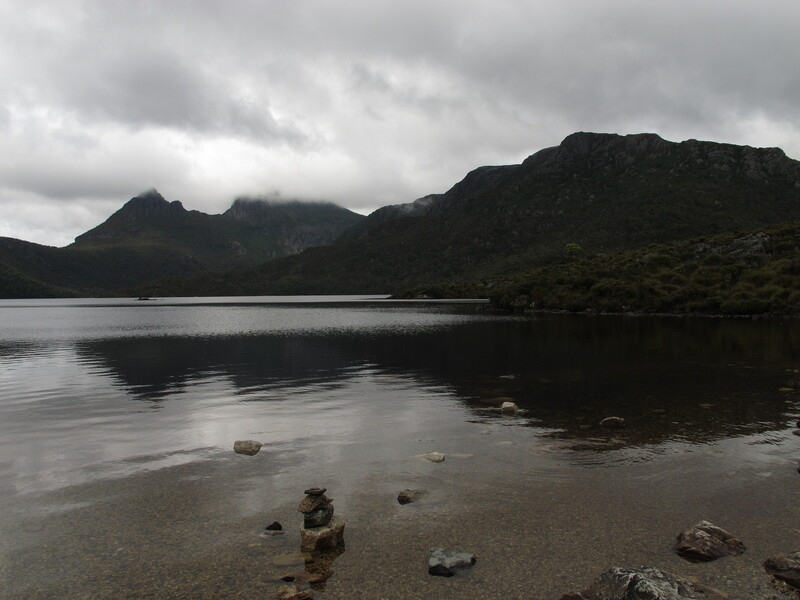 The walk started cloudy and moody (which is actually kind of beautiful when you're in Cradle Mountain), but cleared up to reveal her glittering beauty. 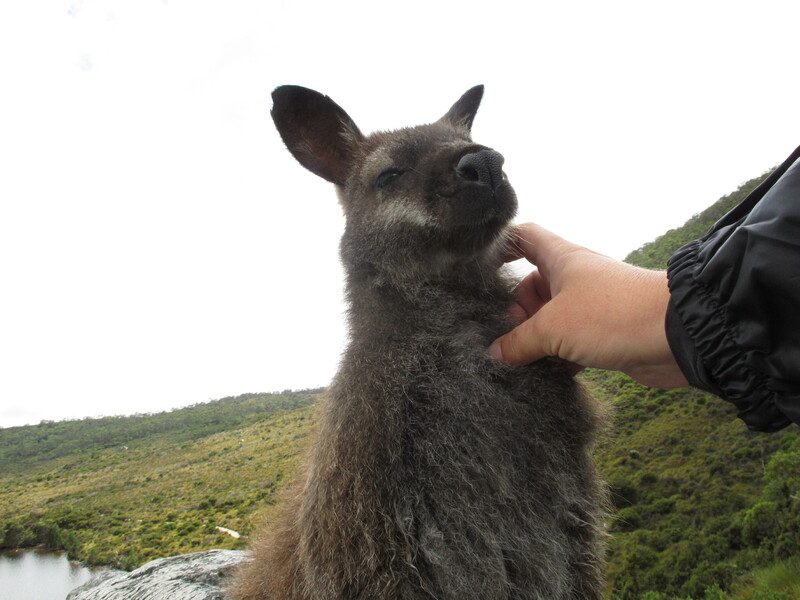 I also happened upon a very tame wallaby sitting on a rock and had my moment of kangaroo whispering which ended up with the wallaby having a little neck and back scratch all the while one eye closed and urging me "a little lower... a little to the left... no down, now right... yes, that's it... now scratch"! My least favourite part of Tassie was Strahan - I think partly because of the weather (15 degrees, raining and windy for the 3 days), partly because one company owns the entire town (yes, all the various levels of - overpriced - accommodation, plus the pub, the fish shop, the cafe, the restaurant, the tourism centre, even the boat that does the cruises on the river) and its pretty kitsch. However, having said that, I did the cruise (because I wanted to see the leatherwood forests from the amazing Franklin River, and the photograph below is one of my favourites from the entire trip. Talk about shades of gray... I don't usually acknowledge shades of gray in life! 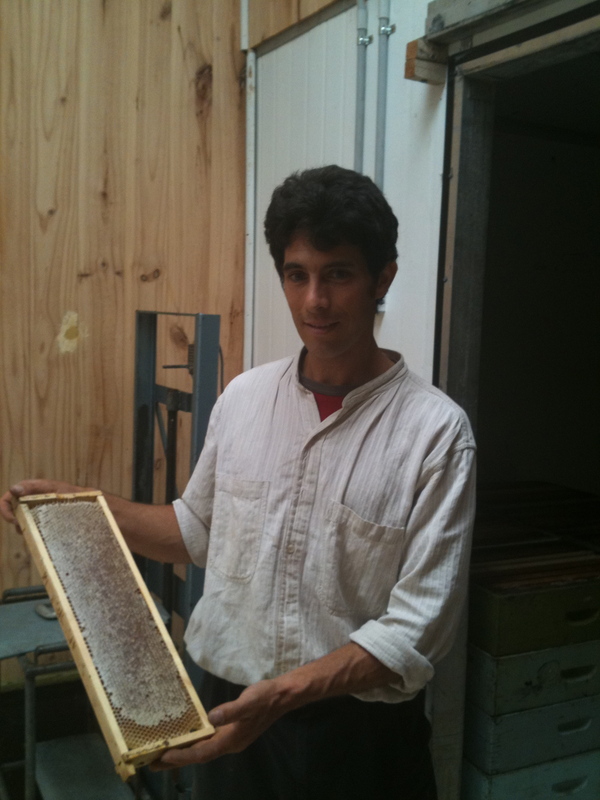 Another big highlight was meeting Yves Ginat, the beekeeper behind Miellerie honey which we sell a LOT of at the hive. Yves honey is sublime and he has the artisan approach and attention to detail that we love at Queen B. Learning about beekeeping told by a beekeeper with a strong french accent makes it all sound about as divine and romantic and pure as I know it to be... apart from the fact that he must have been bathing in oil of olay because I also met his 16 year old daughter! Amazing. I think he may have been hoeing into the royal jelly - known throughout Asia as a youth elixir. 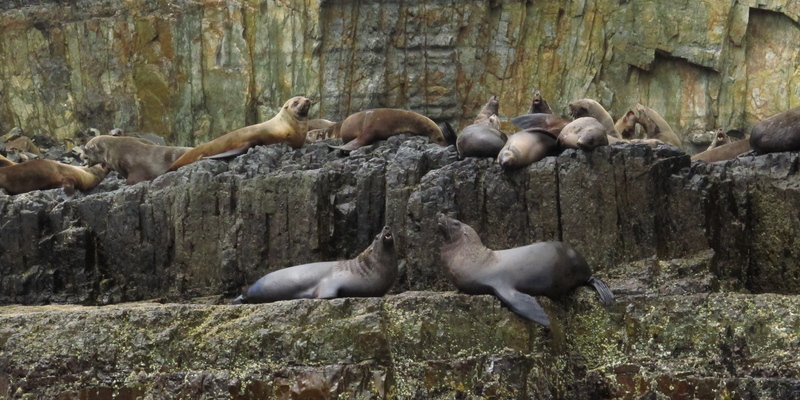 And finally, I couldn't not have told you about the boat trip that I did around Tasman Island which included an endless array of seals which were just fascinating to watch. So there it is... a little late in finishing, but you get the gist. 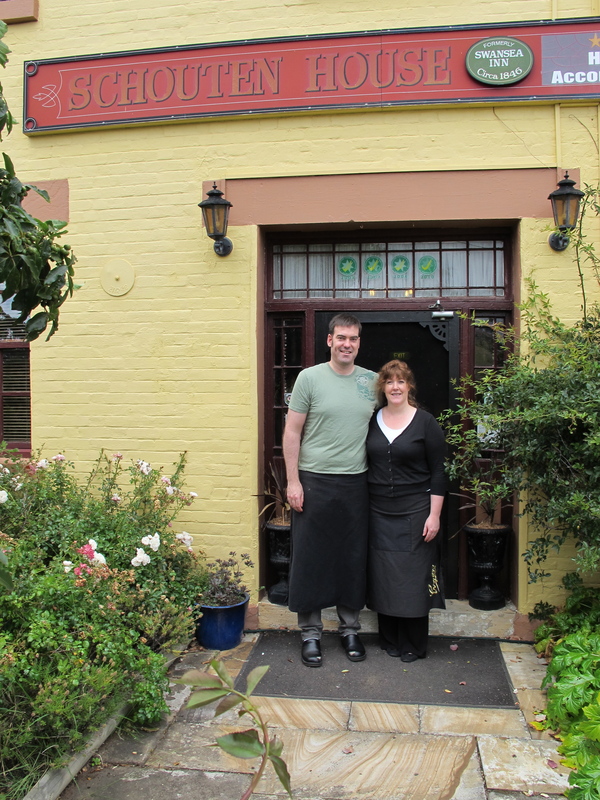 If Tassie weren't on your bucket list prior to now, put it on there. I actually think the Tasweigans have it right (as opposed to being backward)! Life is a little slower, but they do what they do REALLY well (amazing honey, amazing wines, amazing cheeses, amazing beauty, great opium - if you're into that sort of thing, fabulous museum, great cooking school etc etc and they seem to be really into supporting Australian made). Even the Pure Tasmania tourism campaign (which is a little ironic given they are still systematically destroying their old growth forests) is clever. Tourism NSW, where the bloody hell are you? 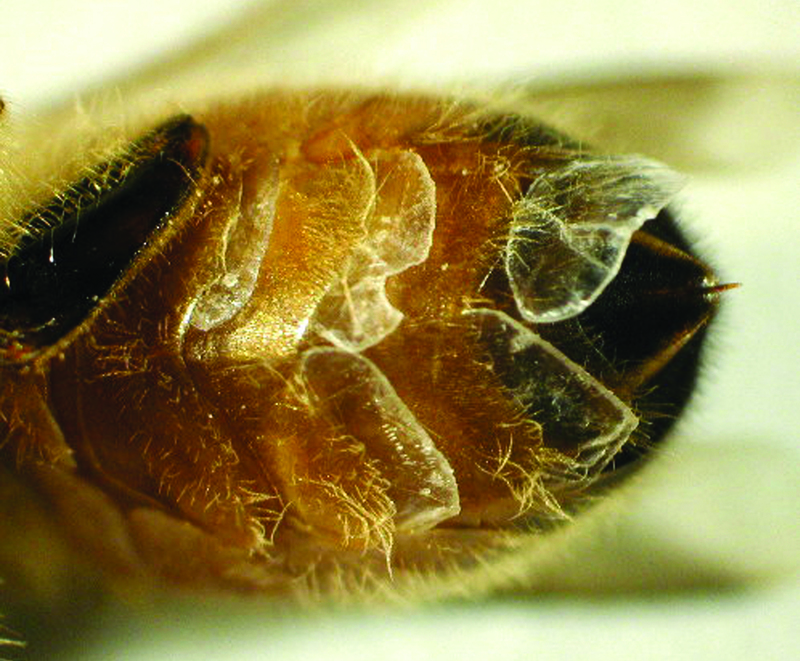 This entry was posted in Bees & Honey and tagged Tasmanian honey, beekeeping, Australian made on February 15, 2012 by queenbcandles.